Rev. Soozi Whitten Ford serves as the Executive Minister for American Baptist Churches of Indiana and Kentucky and, along with gifted pastors and leaders, is discerning God’s call to ministry in the challenging cultural context of the early 21st century. Ford is a graduate of Ottawa University and Central Baptist Theological Seminary, and was ordained by Prairie Baptist Church (Prairie Village KS) in 1982. 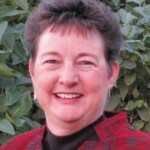 Her ministry experience includes faculty positions with Sterling College (Sterling KS) and Central Baptist Theological Seminary (Shawnee KS); pastoral positions with First Baptist Church (Casper WY) and Calvary Baptist Church (Cheyenne WY); regional ministry with Mid-American Baptist Churches (Iowa and Minnesota); and national stewardship ministry with American Baptist Churches USA. Ford began serving as executive minister for the American Baptist Churches of Indiana & Kentucky in 2012. She serves on the board of directors for Edna Martin Christian Center (Indianapolis IN); as Vice Chair of the board for Green Lake Conference Center (Green Lake, WI); and on the American Baptist Women in Ministry Advisory Team. Ford has been married to Rev. Homer Ford (pastor of FBC Franklin IN) for over thirty-five years. Homer and Soozi have two daughters, Ashley and Holly. Ashley also graduated from Ottawa University, and is a physical therapist with a major health facility in Spokane WA. Holly is currently completing a Master’s degree at South Dakota State University and her husband, Michael, manages the computer network and infrastructure for a large banking and financial institution in Sioux Falls SD, where they make their home. In her free time, Soozi enjoys reading mystery novels, knitting, walking, photography, traveling, and flower gardening. If you would like to contact Soozi, you may do so at: SOOZIFORD AT ABC HYPHEN INDIANA DOT ORG.